It had been a normal Saturday with my husband and two year old son, John. We had plans to enjoy the morning at the lake. We parked our car and walked to the bridge where the geese and ducks were. The setting and serenity were perfect. My son stuck close to us as we showed him the beauty of God’s creation. Bicyclers flew by us and other runners on the bridge. Out of nowhere, my son darts out in the middle of the path just as a bicycler is heading straight for him. He screams, “Whoa, whoa, whoa. Get out of the way!” My heart stopped. My husband ran to John and brought him back to his side. On our way home, I burst into tears and told my husband my fears. Could I trust God to protect John in the future? I mean, shouldn’t I help God out and do what is responsible? My heart wrestled. What seemed most responsible is to not return to the lake. It is too dangerous! My insides were being seized by fear. And it was a scary place to be. John is now 6 1/2 years old. He begins first grade in just a few weeks and will walk down new hallways of his brand new school in a new town. I have reflected on that experience at the lake a few times as I think about how we will soon release him into “all day” school. Kindergarten was just half a day in his old school. We are also reaching a milestone in that his formative years are now over. Naturally, I’m experiencing different emotions of excitement and nervousness. Will he like school? Will he make good friends? Will his teacher love him well? Will he be able to get through the day without a nap? I’m excited that he will get to experience the things that I loved about elementary school. I know he is ready for the structure, challenge, and new friendships. We have prayed hard about this decision and prayers for his emotional and physical protection are always on my heart. 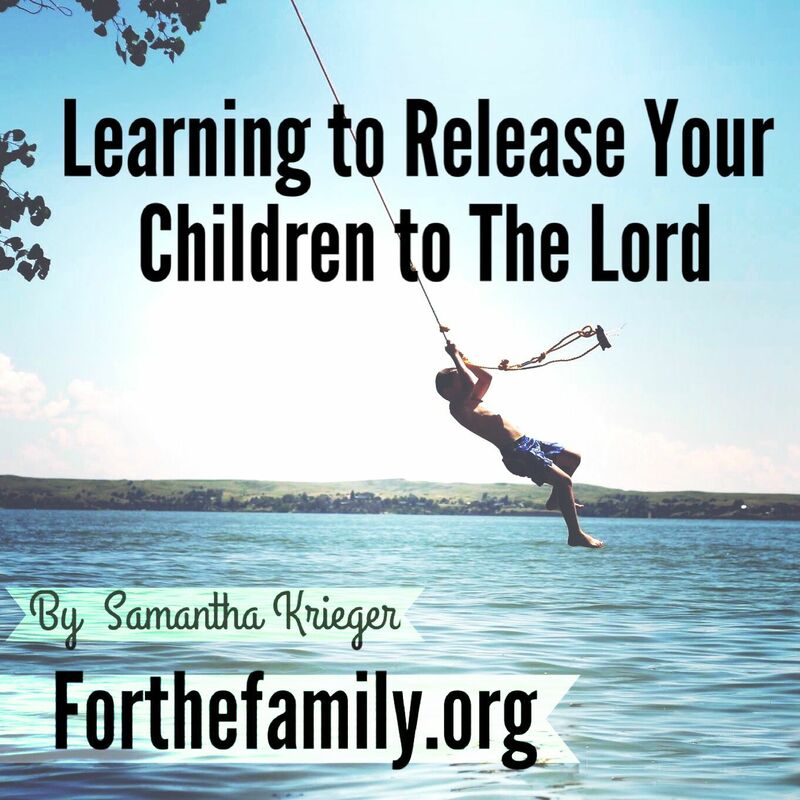 Learning to release our children to the Lord is yes, learned. God takes us through situations and trials to remind us that our children are His, from the moment of their first cry until the appointed time that Jesus calls them home. And as much as we try to control and place a hedge of protection around them, ultimately it is God who is in sovereign over their life. This truth has given me great comfort that I can confidently, regularly, and prayerfully allow the Lord to direct us as we approach a new chapter that we aren’t quite familiar with yet. I can be confident that God has led us where we are today and has placed my family exactly where we need to be. He knows the plans He has for my children and where they will be ten years from now. He knows their needs better than I do. Whatever challenges come our way – and they are sure to come – the Lord will go before us and be our help. If you’re inclination is to fear, worry, and have anxiety, you’re not alone. Confess it to the Lord and to those who are involved in your life. Continue to give your children over to him. Remember that it is a daily discipline to trust. You will be surprised at how much peace and freedom there is in letting the Lord have control. I am right there with you! Next week I will be feeling it as well. I love having my son home too so I know I will be experiencing a transition too. I will be praying for you! THANK YOU FOR THIS . I APPRECIATE IT GREATLY. MY DAUGHTER IS 18 AND I STILL WORRY AND FEAR FOR HER. IT IS ONE OF THE MANY MILESTONES THAT SHE WILL GO THROUGH. BEING AN ADULT AND DOING ADULT THINGS, LIKE GOING OFF TO COLLEGE, FINDING LOVE IN ANOTHER, FINDING A JOB AFTER COLLEGE ARE JUST A SMALL AMOUNT OF THINGS THAT I FEAR. BUT YOUR WRITING GIVES ME HOPE THAT I CAN GIVE IT TO GOD AND HE WILL TAKE CARE OF MY KIDS. KNOWING THAT I LOVE MY KIDS BUT HE LOVES THEM EVEN MORE MAKES IT EASIER TO KNOW THAT GOD HAS ALL THINGS UNDER CONTROL. THANK YOU. beautifully said. Thank you for sharing that. Really needed to hear this. I am SUCH a worrier. I drive myself crazy. Thank you. Thank you, I needed this as I had a horrible school experience. I see myself trying to control stuff at his school and am afraid that his teachers aren’t nice to him or he will be lonely like I was. This is a good read and I appreciate this especially during this season of my 2 kids starting kindergarten and 1st grade. I too am learning to trust and rely on The Lord each day with my children. My youngest son just reported to his first duty station in the Army. How I wish I could go back to the days when my biggest concerns were how he was doing at school. Not that those fears and worries aren’t valid, but they are part of the process of letting go and trusting that gods plan for them is perfect and complete. I need a constant daily reminder that he loves my children perfectly and that I can trust him to be in charge of their lives. I will continue to pray for them and for me, so that we all can come to know god better and receive his love and direction in our lives. This article hit home as I apply it to my own daughter who is disabled and aged 37. She now lives on her own. That alone has been a leap of faith and she does well in her own apartment going on 6 years now. Recently though I have been plagued by fear and anxiety as she has a new job that has an evening shift. She goes by public transportation; so my fears escalate until I hear her voice on the other end of the phone each evening. 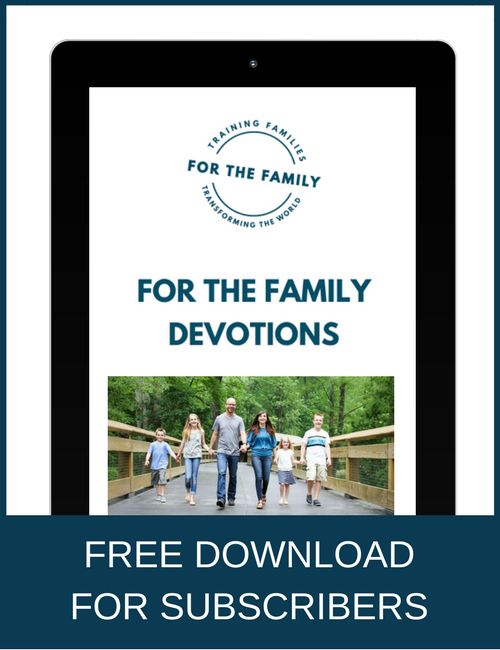 I have been asking God to help me in my fears and this article helps me to realize that I must release her into His care as that is where she is anyway. His plans are not to harm her but to take care of her and He is sovereign over her life. I pray that each day will bring me closer to this beautiful trust. I will then be free from the crushing fear that plagues me only then. Thanks again for sharing. Did I ever need to read this today! As the mother of 5 boys, now ages 23 down to 11, I struggle daily with worry, fear, and anxiety. 3 of my 5 are active duty military, one is in college, and my baby is about to begin middle school. 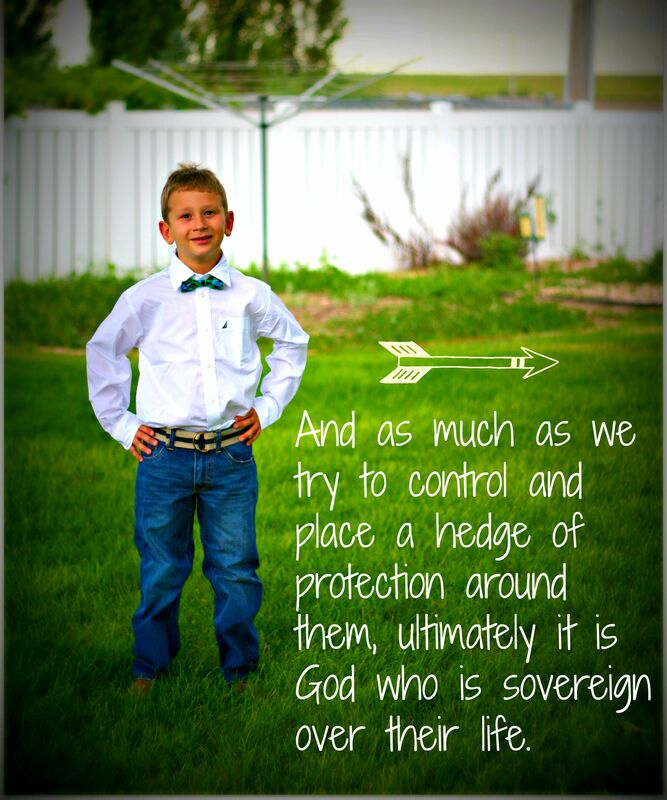 I constantly pray God’s hedge of protection around them and that He would provide them with wisdom and clear vision in their decision making. It is so beyond anything that I can think or imagine that God loves them more than I do, but I rest in the peace and comfort of knowing that He absolutely does! Thank you for your words and insight! They certainly have helped my mommy’s heart today! Good article overall but I’m bothered by the comment “We are also reaching a milestone in that his formative years are now over.” His world view is being formed right now and will be for many years to come. Thank you for this! I struggle with worry and anxiety. I have an almost 12 year old son with language processing delays and a hearing loss. I always feel like that his hearing loss causes him to be an easier target, so it causes more anxiety. On top of it all, I trust God, but this area has been the hardest for me and I often have to admit that I just can’t seem to trust Him fully due to the anxiety of something bad happening to my son. It’s such a struggle for me. This is something I work on every minute of every day and yet, I fail. I was so happy to read this because it helped me see that I am not alone. I have always been told that I worry too much. That may be true, however, this article showed me that this type of emotional struggle is more common that I believed. I no longer feel alone and that in itself may help. Thank you again for sharing. I don’t know how I will overcome this, but I know that God is the only one that give me the strength to do so. I am feeling you! My littlest ones are starting full day kindergarten and first grade on Monday. Clothes are bought, bags are packed and, in the quiet of the night, tears are flowing. I realize that my tears are not from fear- they are excited to start school and are ready for a new adventure. I am sad to be separated from them, to let them grow, to let them be independent. All of this is in God’s divine plan and it is our jobs as mothers to loosen our apron strings gradually to create independent, responsible, God-fearing adults. One thing I do not have is fear for my children. I think it has to do with God’s grace. I am an older mom and was a mess when I carried them. Would they be alright or am I selfish being forty and carrying a child? Would they be protected? My prayers were answered with the birth of my last child. I knew there was a problem in my heart and no one listened to me. I prayed incessantly and asked for the Lord to keep my child safe. My prayers were answered. After everything conceivably went wrong with her birth and I came close to losing my life I felt more peace than I had ever felt. I felt Jesus’s presence with me and in the chaos surrounding me, I was the calm in the storm. 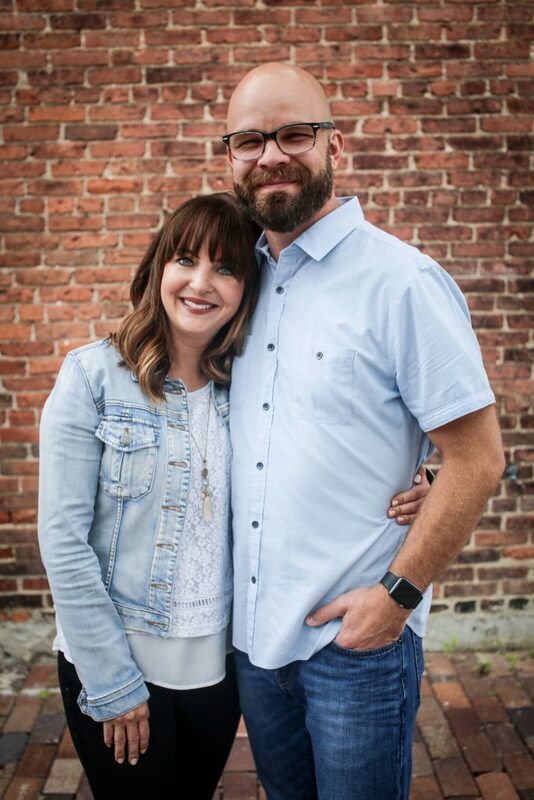 Afterwards I learned that she never should have been born prematurely (she was a week late) and that I had had a 10% survival rate as I had almost bled to death. The doctor asked me how I kept calm through all of it and looked so peaceful. It was because from that moment and for the rest of my life I definitively knew that Our Lord was protecting us. God bless you and know that life is precious, but with our Lord and savior by us we have nothing to fear. This is a great reminder to me as I just discovered drugs and alcohol in my 17 year old’s room. My heart ripped to shreds, frozen by fear and hopelessness. How did I go so wrong? Who is this person? How do I love her now? Do I kick her out? I don’t know what’s next, but I know I need to trust the Lord, how is the question? I found my way here through another blog. I posted something today about trusting God in the lives of my children. Although I didn’t go into detail, but I am learning to believe He knows better than I. I trust he’ll answer my prayers I just fear not knowing His plan for a specific child. Still learning to give them to God. Loved your story!